At De La Rue people are an important asset and engaging and supporting our workforce is crucial. Regular employee surveys are conducted and all employees are invited to participate. The last survey was conducted in October 2014. The response rate was very good, with 83 per cent of employees choosing to respond to questions designed to test opinions and engagement across the organisation. The results of our surveys are analysed by a third party and shared with management teams across our sites so actions can be agreed and monitored. We also communicate regularly with the unions representing our employees and with our UK and European works councils which are composed of elected employees, management representatives and employee nominated full time trade union officers. 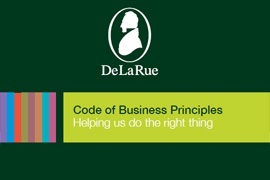 Our Whistleblowing procedures enable employees who have concerns about the application of the Code of Business Principles or working practices to raise them either internally or anonymously through an independently run telephone helpline: De La Rue CodeLine. 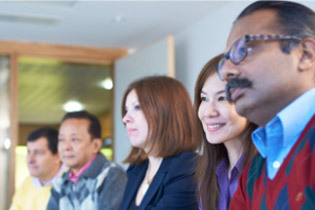 For information about our approach to learning and development at De La Rue, visit Working at De La Rue.